Whether you need a 23 inch zipper, a 9 foot zipper, or something even longer (or shorter), we are your source! 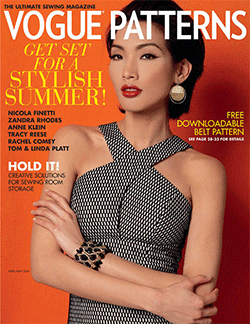 Read on to hone in on your perfect zipper. For those who are new to the world of zippers, there are 6 important pieces of information you need to know to find your perfect zipper. 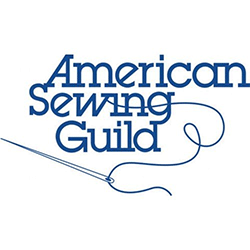 The guide below walks you through all of the relevant information you should gather to find your specific zipper on our website. Once you have all of this information, your zipper should be a cinch to find by navigating to Zippers by Gauge or Zippers by Material! 1. Type of Zipper Teeth –The material out of which the zipper teeth are made. 2. Gauge – A number which describes the thickness of the zipper teeth. The number of the gauge corresponds to the width of the zipper teeth, in millimeters, when the zipper is zipped. The larger the number, the more heavy duty the zipper. 3. Separating or Closed-Ended - Whether the zipper needs to separate at the bottom. There are two “bottom types” of zippers that we carry. Separating zippers have a pin and box at the bottom, allowing the zipper to separate fully into 2 pieces. An example of a separating zipper is a jacket zipper. Closed-ended zippers do not separate. An example of a closed ended zipper is a zipper in the fly of a pair of pants. 4. One-way or Two-Way – How many sliders (pieces that move up and down the tracks) are on the zipper. Most zippers have one slider and are therefore one-way zippers. On the Zipper Shipper website, we simply refer to this as a zipper and don’t describe it as “one-way.” However, some zippers have two sliders and are therefore called “two-way zippers.” An example is a zipper on a longer jacket or coat, which can unzip from the bottom when the person wearing it is sitting down in order to allow room for their legs to move around more easily. Zippers for coveralls are often two-way zippers as well. At this time, we do not carry ready-made zippers in bag-style configurations that have 2 sliders that open as you pull them away from the middle. Unfortunately, it is not possible to make a two-way zipper from any of our metal zipper chain. 5. Color – What color the polyester fabric on the sides of the zipper is. 6. Length – How long the actual opening of the zipper is. Separating zippers: Length is measured from the bottom of the zipper’s retainer box to the top stop (the metal piece at the top that prevents the slider from being pulled any higher). This measurement does NOT include the extra fabric beyond the top stop. Closed-end zippers: Length is measured from the bottom stop to the top stop. This measurement does NOT include the extra fabric beyond the top stop. That’s it, you’re ready to go! With this information in hand, try navigating to Zippers by Gauge or Zippers by Material to zero in on your specific zipper. 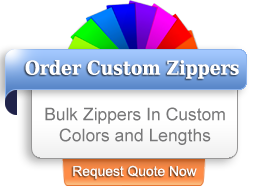 Zipper Shipper Can Supply Virtually Any Custom Length Zipper. Most of the time, all of the above factors can be flexible. For instance, if you can’t find the perfect zipper with antique brass teeth, a zipper with brass teeth or even molded plastic teeth can be used instead. Also, any bottom separating zipper can be converted to a closed-ended zipper by sewing over the bottom. The one specification for a zipper that usually cannot be flexible is the length. Looking for a zipper in a specific length? We stock a huge variety of zippers, and, in most cases, carry many different lengths of each type. Zippers are like people though; they come in all different lengths! You could be looking for a length that we do not keep in stock. If you need a length that we do not stock, however, have no fear…. Any zipper can be shortened! If you do not see the length you need listed, you can choose to have the zipper shortened for you to your custom length. Just type your length in the “shorten to” field and we will shorten it for you. This shortening service does have an additional fee which you can see when you are on the zipper’s product page. 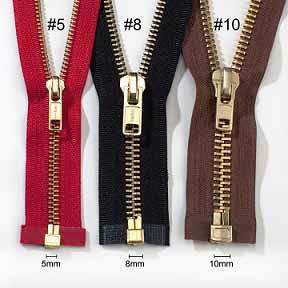 Some customers order zippers from us “off the shelf” in stock lengths and then shorten the zippers on their own. *If you are interested in ordering 100 pieces or more a non-stock length, contact us at info@zippershipper.com to request a quote for custom zippers that can be produced to your specific length (no shortening required!). 24 inch (2 foot) "
36 inch (3 foot) "
48 inch (4 feet) "
60 inch (5 feet) "
72 inch (6 foot) "
84 inch (7 foot) "
96 inch (8 foot) "
108 inch (9 foot) "
120 inch (10 foot) "
132 inch (11 foot) "
144 inch (12 foot) "
If you have more questions about our company's services, please check the Frequently Asked Questions. Thank you and happy zipping!